Jason has a problem. He doesn't remember anything before waking up in a bus full of kids on a field trip. Apparently he has a girlfriend named Piper and a best friend named Leo. They're all students at a boarding school for ';bad kids.' What did Jason do to end up here? And where is here, exactly?Piper has a secret. Her father has been missing for three days, ever since she had that terrifying nightmare. Piper doesn't understand her dream, or why her boyfriend suddenly doesn't recognize her. 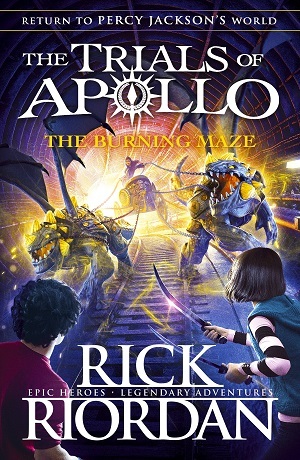 When a freak storm hits, unleashing strange creatures and whisking her, Jason, and Leo away to someplace called Camp Half-Blood, she has a feeling she's going to find out.Leo has a way with tools. When he sees his cabin at Camp Half-Blood, filled with power tools and machine parts, he feels right at home. But there's weird stuff, toolike the curse everyone keeps talking about. 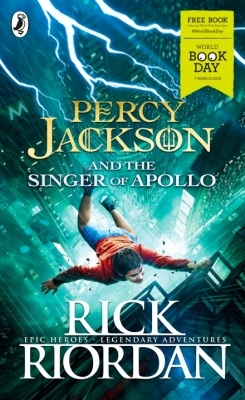 Weirdest of all, his bunkmates insist that each of themincluding Leois related to a god.Join new and old friends from Camp Half-Blood in this thrilling first book in The Heroes of Olympus series.